I was a little whakama (shy, nervous) about putting out an election sign in Te Reo Maori. 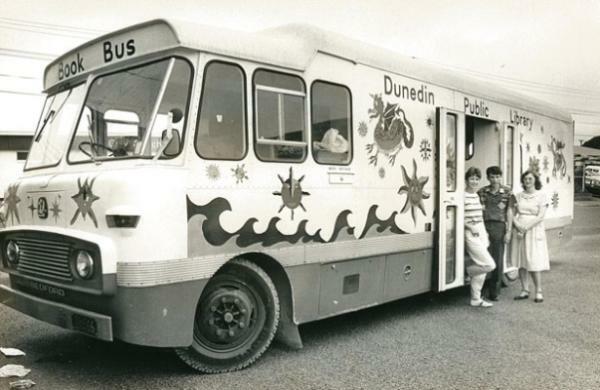 However, living on the Peninsula and working in Dunedin has taught me to look deeply at the nature of our community and how we can support one another.Language is one of those ways, and through it we can learn a deeper understanding of the world and place we live in. I’ve been very fortunate to receive much support and guidance from many Maori people in my life, so I thought I would be brave. Nga mihi. 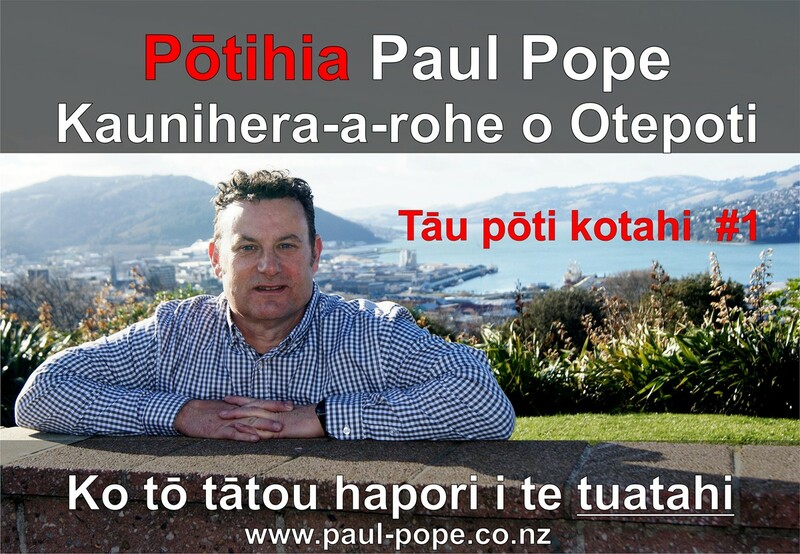 This entry was posted in 2016 Elections, Dunedin, Local Issues, Paul Pope and tagged Dunedin Otepoti, Ko to tatou hapori i te tuatahi, Paul on the Peninsula, Paul Pope, Paul Pope 2016, Paul Pope Election Candidate, Te Reo Maori on August 30, 2016 by Paul on the Peninsula. In the last few months we’ve seen the knotty problem of freedom camping in areas like Warrington raised by the community. 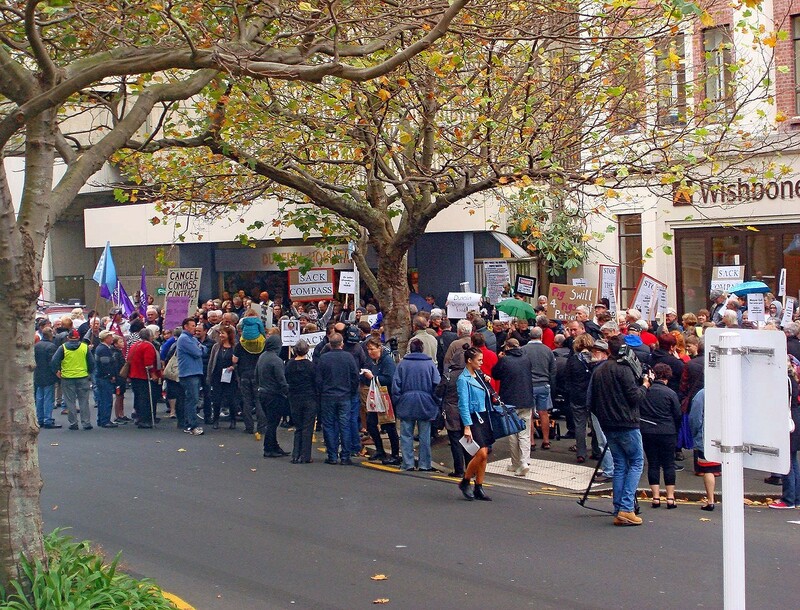 Having spent the last three years on the Otago Peninsula Community Board dealing with this issue its become clear that we must act far more decisively than we have done to date. That means investment, dialogue and looking at innovative ways to control the effects of the activity on local people and local areas. Undertake proper research into visitor accommodation and expenditure through the University of Otago Tourism Department to have real data for decision-making and planning. Develop in partnership with the Department of Conservation or private enterprise for DoC style campsites with water, toilets and rubbish collection that can be used by campers for a nightly fee. Have limits on the numbers at certain sites to reduce the stress on communities. Close sites during the off-season to give the community a break from visitors. Create jobs or contracts for the management of sites within the community for local people. No one is a better ambassador than a local person. Resource enforcement, signage, and information properly so that everyone understands the rules. Ensure non self-contained campers are in a designated freedom camping area or private camping ground only. Look more deeply at the availability of land suitable for the activity. I don’t have a golden bullet or a magic wand to solve the problem, but we must take a far more pragmatic approach to the issue. 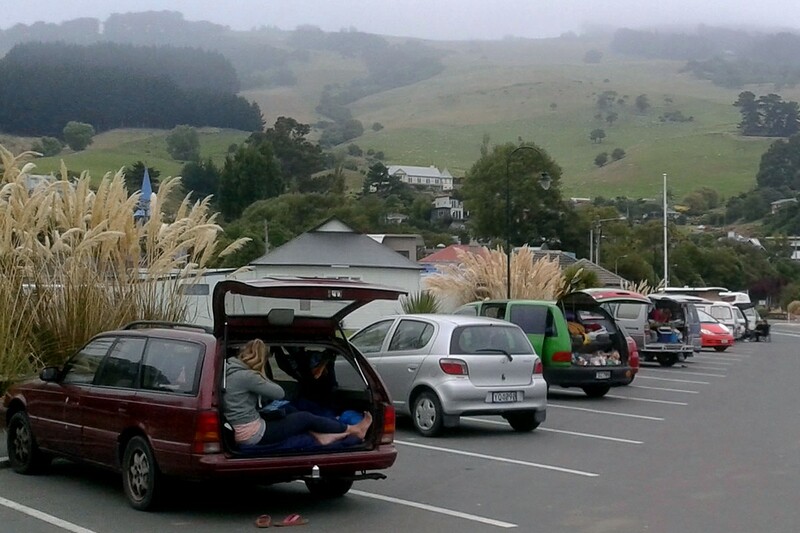 This entry was posted in 2016 Elections, Local Issues, Paul Pope and tagged Elections 2016, Freedom Camping, Local Govt Elections 2016, Otago Peninsula, Paul Pope, Paul Pope 2016, Paul Pope Election Candidate, Putting our community first, Warrington Domain on August 12, 2016 by Paul on the Peninsula.